Meghan Markle and Prince Harry were smiling and holding hands when they arrived for the christening of Prince Louis on July 09, 2018 in London, England. The royal couple followed Duchess Kate, who carried the sleeping baby inside the St James’s Palace. 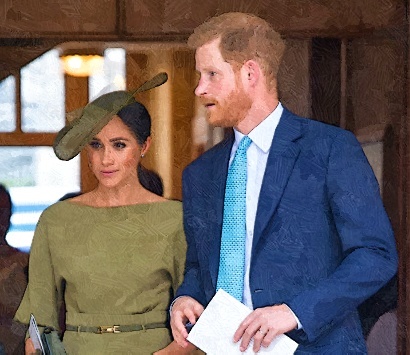 The Duchess of Sussex chose an olive green ensemble, which is designed by Ralph Lauren, for this royal event. She matched her outfit with shoes and clutch bag, as well as a hat by milliner Stephen Jones. Prince Harry thought of a nice gift for his new nephew. The 33-year-old prince gave his nephew the first edition of AA Milne’s Winnie-The-Pooh, which estimated to be £8,000. It appeared that the gift might be a sweet tribute to Prince Harry’s late mum Princess Diana. It is reported that being read a bedtime story by his mother was one of Harry’s happiest childhood memories.